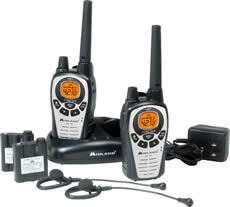 The Midland GXT860 is a great all pourpose 2-way radio. With its easy to use functions and its sleek design this 2-way radio would be a great gift for anyone. The Midland GXT-860 is an amazing 5 watts of power, providing a range of up to 36 miles over flat open areas. Keeping in contact with every member in your party will not be an issue with this radio. The GXT-860 is rugged durable, and water resistant. Also supports the NOAA weather channels and NOAA weather alerts, giving you the capability of being alerted to any severe weather in your location. 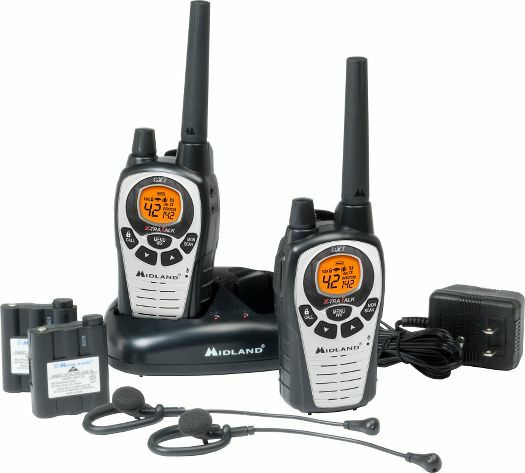 The Midland GXT-860 supports a total of 42 channels - 22 standard FRS/GMRS channels and 20 extra channels. Each standard channel supports 142 privacy codes.